Here is my contribution to Amanda from the blog Miss Zippy’s linkup to recap my year of running in 2013. 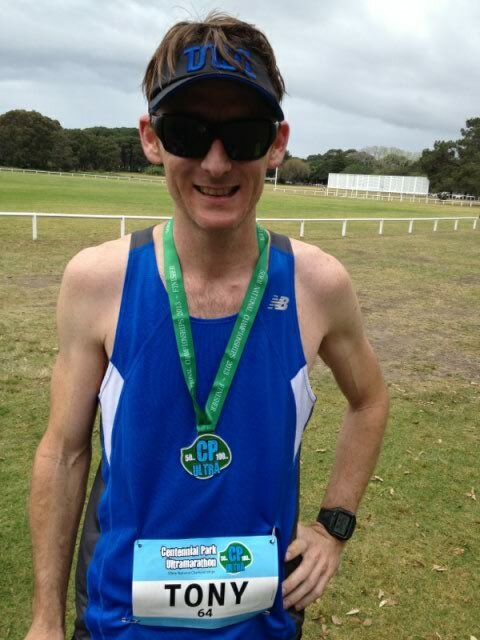 My first Ultra Marathon at the Centennial Park 50km in September. It was three months after the birth of my baby boy Geo and I came there apprehensive and under prepared. I didn’t get the goal time I was after but I learnt a lot about myself during the last 10km of this race. I got to carry my new son over the finish line which was cool and it was nice to tick the Ultra box finally too. Whilst training for my first Ultra I went on many great training runs. One sticks out in my mind though. It was a beautiful spring day and I went for a 35km long run. 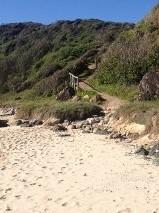 Lots of time spent running on the beach and the trails just logging the km’s. I was so energised after this run that i did another run in the afternoon. One of those days when everything just comes together. Undoubtedly my GladSoles Barefoot sandals. I only got them recently but they have changed my running in this short time. Pure zero drop running and the most enjoyable change to my running ever. 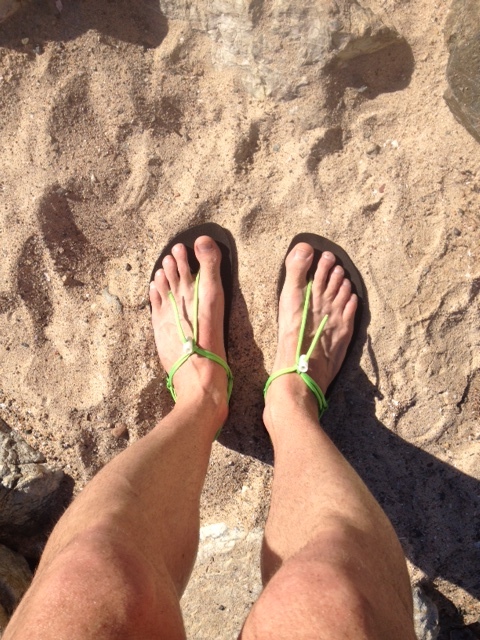 If you have ever thought about barefoot sandals or transitioning to minimal shoes make 2014 the year you do. A distant second would be a pair of Lululemon shorts which I treated myself to the day after my Ultra. I love these shorts a lot I wear them all the time. I can’t think of one piece of advice that stands out. This year I subconsciously changed my approach to running and found a greater enjoyment from it. I think transitioning to barefoot has allowed me to enjoy my running more and not just train for races which I think I was doing prior. So probably the best piece of advice I got was to make the change and run in minimal shoes and now barefoot. Way too hard to choose one. Everyone that I interacted with via encouragement or friendship on social media has helped motivate and inspire my running this year. Thank you to all of you. If you could sum up your year of running in a few words, what would they be? I have been a runner for a long time but this is the year I truly learnt that I love running. This entry was posted in Running and tagged #yearofrunning2013 #running. Bookmark the permalink. I did this same post a few days ago 🙂 it is so nice to reflect on everything from the past year!